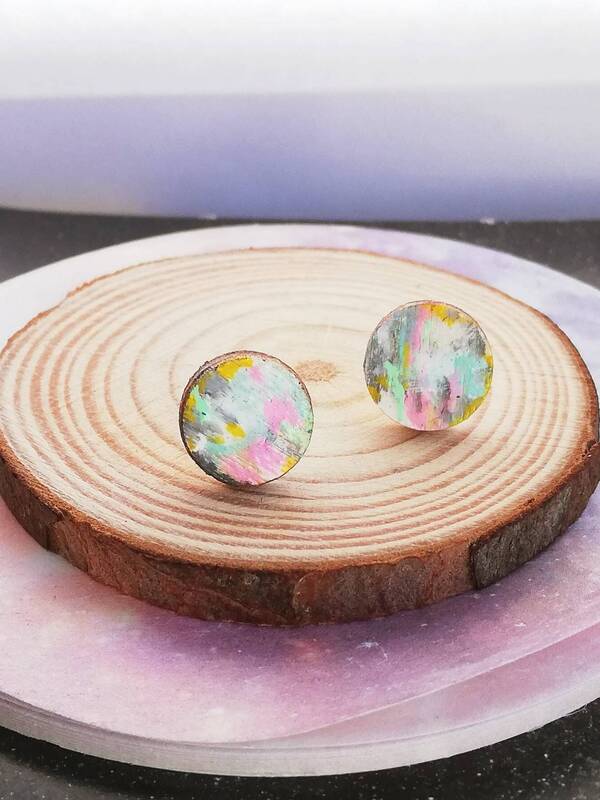 I have been having fun creating more of my popular hand painted stud earrings. 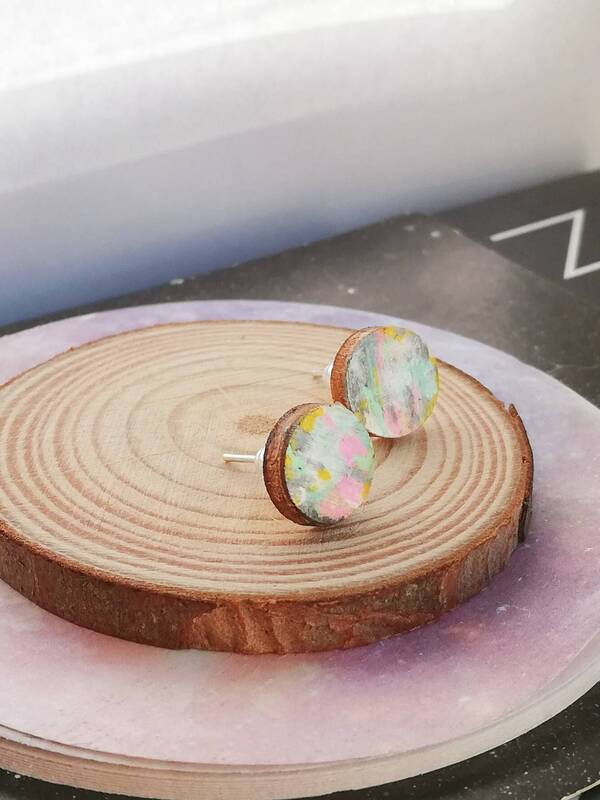 I've been experimenting with colours and design to make some really fun and unusual pieces. 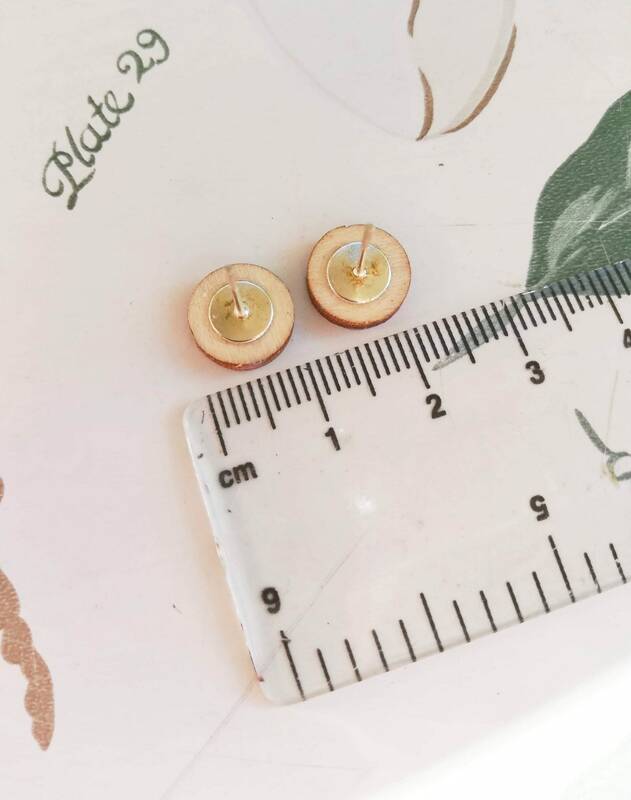 The design is hand painted on 1cm wood discs, thrice varnished for protection and mounted on stainless steel earring studs. 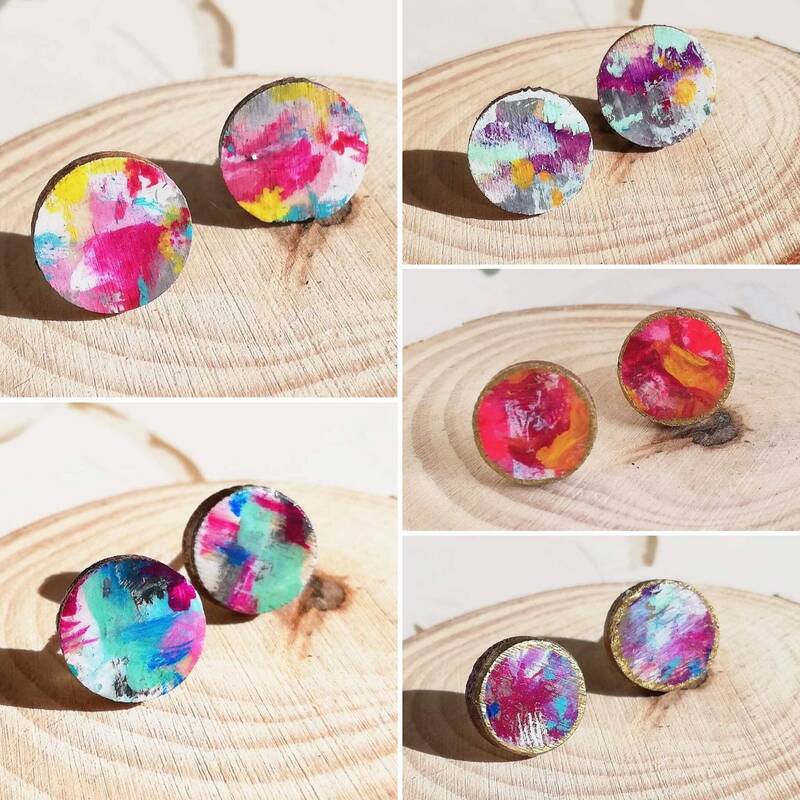 Each is hand painted and a one-of-a-kind design. 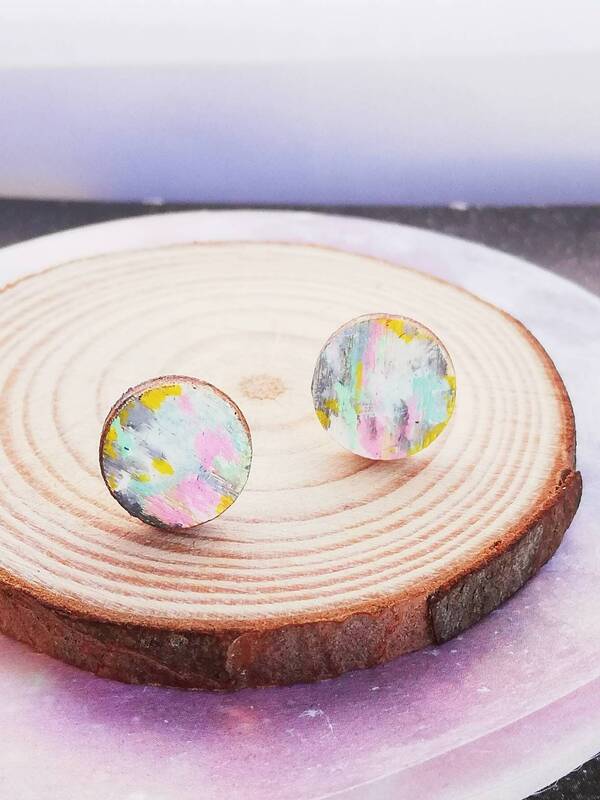 Mini ear art works! They come in hand finished lino printed boxes. I'm happy to include gift messages and offer gift wrap. 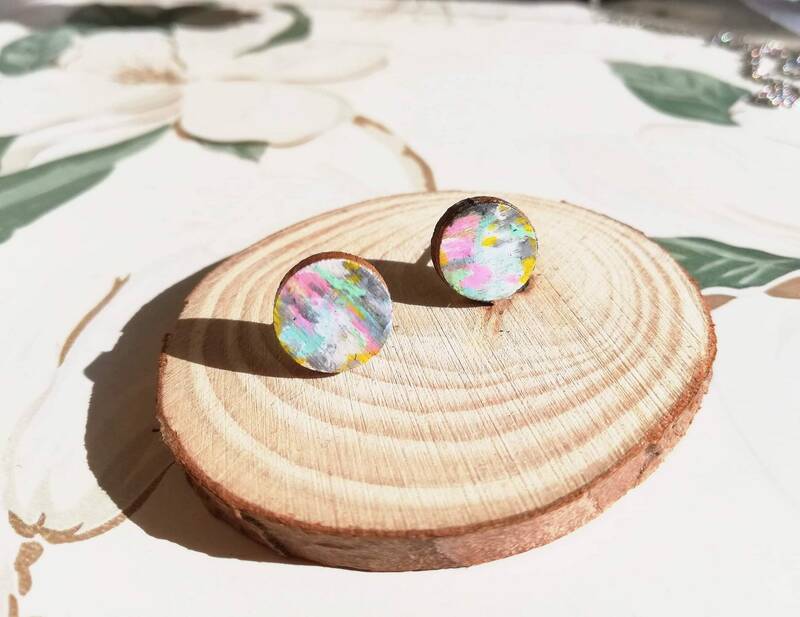 I have earrings in different colours and some with animal and flower designs in my shop - have a look under the 'earrings' shop section.